Singer Pixie Lott is set to join the Strictly Come Dancing professional dancers in the show, Puttin’ On The Ritz. The young pop star will star in the show, with music and lyrics by Irving Berlin, Cole Porter and George Gershwin, opening at the New Wimbledon Theatre. Pixie will be reunited with her Strictly Come Dancing partner Trent Whiddon, as per when she recently competed on the show, and the pair will be joined by other Strictly Come Dancing professionals Robin Windsor and Kristina Rihanoff. Puttin’ On The Ritz will open at the New Wimbledon Theatre in May this year. Puttin’ On The Ritz is also visiting venues including Theatre Royal Newcastle, from 2-6 June 2015. Having Pixie join the cast is another example of producers both cashing in on recent TV success, as well as the current stature of its stars. There is no denying the talent of these stars, however they too are set to benefit for transferring their work to the stage in terms of both PR and cash. A non-household name starring in the same role would not receive the same coverage or assets unfortunately, yet it is also arguable they would perhaps not achieve so many seats filled in the auditorium. The show, which features the songs of Irving Berlin, George Gershwin and Cole Porter, including the title number, “Cheek to Cheek”, “Night and Day” and “I Got Rhythm”, will then head out on tour, with Pixie Lott performing in Wimbledon from 27-30 May. Pixie Lott is most commonly known as a singer and songwriter, with singles including “Boys and Girls” and “All About Tonight”. She reached the quarter final of 2014’s Strictly Come Dancing with her professional partner Trent Whiddon. Strictly Come Dancing is back for 2014! Judges Len Goodman, Darcey Bussell, Craig Revel Horwood and Bruno Tonioli will all be returning to the popular BBC1 show, ready to judge 15 celebrities on their ability to jump, jive and boogie. The final line-up of celebrities for 2014 has recently been finalised and announced, and they are Frankie Bridge (of S Club Juniors and The Saturdays fame), Judy Murray (tennis coach), Alison Hammond, Thom Evans, Simon Webbe (of the boy band Blue), Mark Wright (former The Only Way is Essex star), Sunetra Sarker, Jake Wood (of Eastenders fame), Steve Backshall, Scott Mills (from BBC Radio 1), Pixie Lott (solo pop star), Caroline Flack (TV presenter), Jennifer Gibney, Gregg Wallace and Tim Wonnacott. There have been many Strictly news stories ahead of the live shows this year, mostly because of the BBC’s decision to release the names of the celebrities one by one (with the exception of the last three names) in the run-up to the 2014 contest. There has also been some controversial discussion about how well-known the celebrities are compared with previous years when contestants included those such as newsreader Natasha Kaplinsky, model Kelly Brook and household names Russell Grant, Susanna Reid and Vanessa Feltz. In presenting the show, long-time host and veteran Bruce Forsythe has handed the Strictly baton to Tess Daly and Claudia Winkleman, who will welcome this year’s 15 celebrities to the Strictly studio for the very first time on Sunday 7 September. New for this year, there will also be a Strictly Come Dancing Red Carpet special, featuring the first interviews with the entire Strictly line-up debuting on the Red Button and BBC iPlayer at 7pm on Wednesday 3 September in order to give viewers at home a little more insight into the Strictly world. A Bristol fitness instructor and diet adviser Sarah Buscemi has added a new Strictly-themed exercise regime to her usual repertoire to enable clients to dance their way to fitness with a new Strictly-themed workout programme. Sarah has joined other Rosemary Conley consultants around the country to train in FitSteps, which was launched earlier this year by Strictly stars Natalie Lowe and Ian Waite. Sarah runs 10 Rosemary Conley classes each week in Bristol and South Gloucestershire, with the 90-minute session including a 45-minute exercise session, and now FitSteps. Like all FitSteps instructors, Sarah was personally introduced to the moves by Natalie and Ian, and can download new dances to teach her clients from the FitSteps website, keeping the programme both fresh and up to date. With television shows such as Strictly growing in popularity, it is no wonder that FitSteps is appealing: it is around 50% dance and 50% aerobic moves, but the combination of the two makes for an intense workout. With FitSteps there is no need for a partner, and supports all levels and abilities, whether they work out often, or can’t remember the last time they put on their fitness shoes. If you would like to try your hand (and feet!) 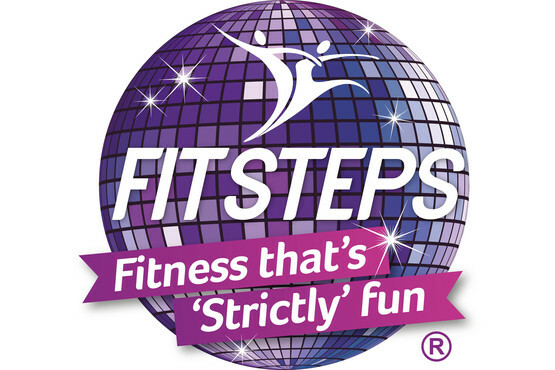 at FitSteps, visit fitsteps.co.uk to find a class near you. 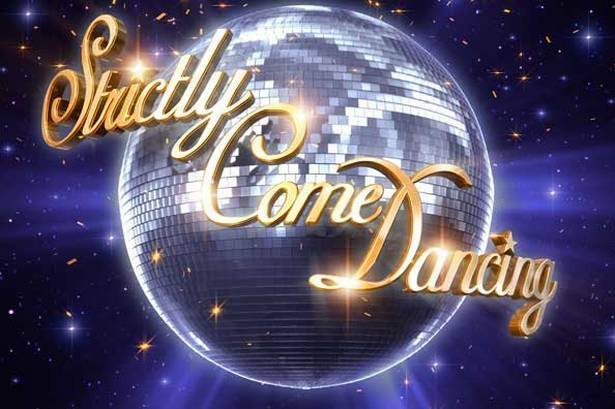 The Strictly Come Dancing Christmas Special lineup has been confirmed with the show returning to Christmas Day again for 2013. Six brand new celebrities take part in a festive edition of the show. Star of The Saturdays Rochelle Humes, West End singing sensation Elaine Paige and radio DJ Sara Cox will be appearing, alongside the males, singer Matt Goss, actor Ricky Norwood and comedian and West End performer Rufus Hound. Professional dancers Robin Windsor, Pasha Kovalev and Ian Waite will partner the female celebrities, and Aliona Vilani, Janette Manrara and Flavia Cacace will partner the male celebrities. All six celebrities are huge fans of Strictly, and two have even had a go at the BBC dance shows before in the name of charity. Rochelle took part in Strictly Come Dancing for Children in Need in 2010 against Harry Judd, before he went on to become Strictly champion in 2011. Rufus wowed audiences during Let’s Dance for Comic Relief in 2010, where he famously morphed into Cheryl Cole and performed her Fight For This Love routine. Elaine and Sara are both Strictly super fans, who both present shows on BBC Radio 2; singer Matt, famous for his part in boy band Bros has preciously performed on Strictly as a singer and Ricky will be trading the streets of Eastenders’ Albert Square for the Strictly dance floor. The beautiful winter wonderland opening number will be filmed at LaplandUK, with Sir Bruce Forsyth and Tess Daly presenting the show and its festivities, with judges Len Goodman, Darcey Bussell, Bruno Tonioli and Craig Revel Horwood ready to provide some Christmas scores. 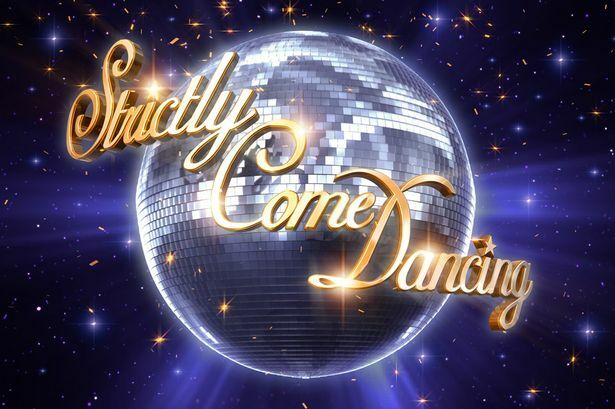 One of the nations favourite evening entertainment television shows, Strictly Come Dancing, has already gone through the usual set of harsh critiques, soft touches and goodbyes for its contestants. Ex-prima ballerina Darcey Bussell – and President of the Royal Academy of Dance – is back on the hit show for a second series as judge, bringing a feminine and arguably more human touch to the panel, and that is discounting her more effeminate male counterparts! Aside from the usual waltzing, jiving and cha-cha-ing, contestants have already found themselves subject to extra training. 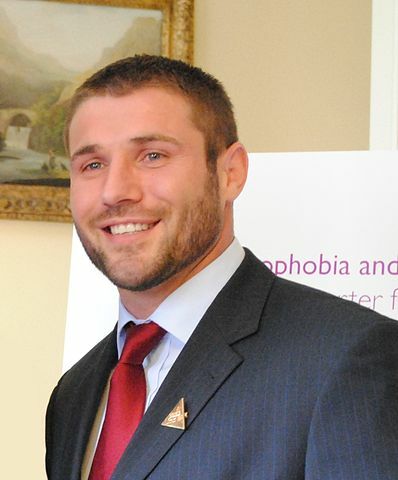 Former rugby star Ben Cohen has found himself at the ballet barre, having been sent to ballet lessons as part of last week’s training for Strictly. Cohen is one of the bulkier contestants, implying he must work doubly hard to achieve the expected lines and performance quality. Cohen’s professional partner Kristina Rihanoff had previously voiced her concerns about how much weight training he had been doing, leaving him much too stiff and bulky for dancing. As a result Cohen has been attending ballet lessons in an attempt to make him more nimble. Cohen freely admits his lack of good posture, aiming to improve this, along with his overall dancing appearance. It is hoped that Cohen’s ballet lesson stint lasted him through to his next performance, a waltz to What The World Needs Now – however in order to prolong the result of ballet Cohen must embark on a much longer commitment to ballet classes, rather than just those required by the cameras and public relations for the show itself. Cohen has commented on his extra stretch and improved poise for his waltz, ready for former Royal Ballet principal dancer Bussell’s eagle eye. Danish born Camilla Sacre-Dallerup moved to England 18 years ago; she had a long, successful career as a top professional ballroom dancer before she became a regular on British TV screens. Camilla rose to fame as Strictly Come Dancing’s most successful female professional dancer. In 2008, after six series she won the trophy and decided to move onto other challenges. Camilla’s most recent venture has been touring the UK in the hugely successful Calendar Girls. Camilla has always been passionate about mind and body harmony which has led to two fitness DVDs and a regular column in Bodyfit magazine. Camilla has run her own business for 12 years which includes professional dance shows, team building and a recently launched business www.camillasacredallerup.com, dedicated to corporate motivational speaking and coaching. Camilla is confident that a positive mindset has made a huge difference in her successful career and she is currently working on her first motivational book. Camilla plans to share some simple tools to help others find inner peace and calm and to be content with who they are, as well as set goals and make a plan of action to make their dreams come true at this year’s Mind, Body, Soul Experience Exhibition at London’s Olympia on 25, 26 and 27 October. The exhibition runs parallel to the Yoga Show. This year visitors to the Mind Body Soul Experience will also have the opportunity to enter the OM Yoga Show for free as the two shows are being held at the same time in adjoining Olympia Halls, and the exhibition can be entered with one Yoga Show ticket. Camilla is hoping that by sharing her journey she will inspire others to follow their dreams too, so come and meet her at this year’s Mind Body Soul Experience. When did you begin dancing, and why? My mum brought me along to a dance school called Lilli Nicolaisen dance and performing arts school when I was two and a half years old in Aalborg Denmark, and I have pretty much danced ever since. She thought it would be a good way to learn to interact with other children and to gain confidence. I loved performing, I did all types of dancing from tap to ballet and ballroom. I had a little boy I danced with from the beginning, continuing for seven years. I loved it, I wish it would have been all day long and not just after school. We danced, sang and did drama too. How long have you been choreographing? I have always found coming up with steps for myself interesting and then it naturally progressed to choreographing whole routines and especially on Strictly Come Dancing. It was exciting to come up with new ideas each week, and even for the professionals and the big numbers for the Strictly tour. Well, now I do so many different things like for example I have just toured with the play Calendar Girls for two years, acting rather than dancing, I run my own motivational coaching and speaking business – www.camillasacredallerup.com – and right this moment dancing is at the forefront of my life again as I’m working on this year’s Strictly as an Assistant Choreographer. I’m so grateful to have grown up in the world of dance, it has prepared me well for life. You learn to have confidence, tenacity, and to be disciplined in what you do: these skills are valuable skills in whatever you do in life. I have always kept a foot in the door. I still perform sometimes with my professional partner Ian Waite and I still teach. I watch videos and talk to colleges about new trends. At this stage in my life though I’m fascinated by helping preparing students mentally for auditions, shows and competitions. I still do basic technique work exercising often on my own or with students, and yoga helps my core stay strong. 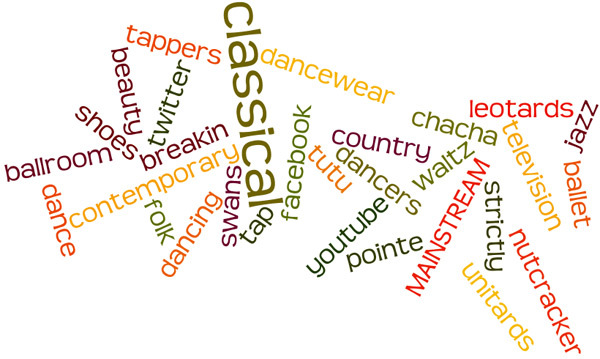 What do you like best about choreographing and performing? I just love connecting with an audience whether it’s dancing, speaking or acting. To make other people connect with emotions through your performance or choreography is the most wonderful feeling. What inspired your interest in the Yoga Show? I believe in mind and body harmony, when I have that I perform at my best. I do my speaking now to inspire others to follow their dreams by sharing how I have achieved my goals, and how to focus on finding confidence and happiness within. What advice would you give to someone aspiring to be part of the performing arts/dance world? What would you say is the best part about dance and movement for you? It engages the mind as well as the body and you feel completely immersed in the present, it’s almost like meditating. When the body and the music are in harmony it’s amazing. I threw my dance shoes in the bin at 19 and said I never wanted to dance again and took two years off from it. When I finish Strictly I’m off to do Panto at Bridlington playing the Fairy Godmother which I’m really excited about. I also hope to finish writing my own motivational book, Dream, Act, Believe = Succeed. Having seen a huge influx of dance and the performing arts in the media recently such as So You Think You Can Dance, Got To Dance and Dancing with the Stars, it comes as no surprise that the number of participants engaging in dance classes has increased considerably. A survey conducted by YouGov in 2011 in the prelude to the Dance Proms at the Royal Albert Hall found that just over 1 in 5 British adults have become interested in dancing as a result of shows such as Strictly Come Dancing and So You Think You Can Dance, not considering those throughout the rest of the world and of alternative age groups, donning their dance shoes and pulling on their leotards. The appeal of dance runs far and wide and today dance seems to have taken on a more of a popular culture persona as more people are becoming aware of it and its benefits. Pirouetting against the stereotype, ballet, for example, does not have to be girly and strictly disciplined; there are a huge variety of dance class choices meaning that there is an option for everyone. No sooner had gym culture taken over our lives, dance cults began to make an appearance, such as Zumba and Bokwa, reinforcing the notion that engaging in physical activity does not have to involve a treadmill. Naturally, open classes such as those at Pineapple Dance Studios and Danceworks to name just a couple of dance studios in the capital, regardless of those throughout the rest of the country, mean that dancers new and existing will dig out their legwarmers or invest in some shiny new ones, obtaining those essentials to embark on or continue their dancing lifestyle. Dancewear is also increasingly becoming ideal for gym and leisurewear, making it versatile, up-to-date and inspirational, be it performing high kicks, squats or champion chill-outs. It seems the dance bug is here to stay! With the autumn 2012 season of Strictly Come Dancing well underway and with some contestants already voted off the show, a complementary element has been launched by the BBC for fans of the show to indulge themselves in the sequins, feather boas and Latin and ballroom shoes the show encompasses. It has even been rumoured that Strictly Come Dancing recently beat The x Factor in terms of viewers. 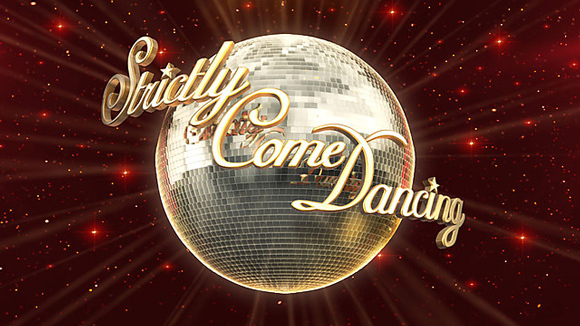 The Strictly Come Dancing online game is a game version of the extremely popular show featuring Dancing With The Stars (the US version of the show) professional Mark Ballas and Strictly dancer Artem Chigvintsev, enabling fans to engage even further in the show. The game “Strictly Keep Dancing” allows users to pick from their favourite professional dance partner, in which fans who wish to tango and salsa can do so dressed in their choice of sparkly outfit and outlandish dance show make-up. The game, which coincided with the launch of the Dancing With The Stars online game too, allows users to choose their own dancing partner from a list that includes current real-life stars of the show. Closely based on the BBC series, the game will allow players to compete on the dance floor as they try to excel to higher levels, collecting points as they go and living out their dance star dream. Users logging on to the website have been advised that they ‘may experience glitches or problems when they play’ because the game is still in its trial BETA stages. Strictly Come Dancing Contestants Revealed! After months of speculation the Strictly Come Dancing line-up has finally been announced, dispelling all previous rumours surrounding the tenth series. In addition to the contestants, ex-prima ballerina and new Royal Academy of Dance President Darcey Bussell will also be joining the show as a new judge on the panel. Bussell will be trading her trademark pointe shoes and tutu for score cards, and has even been dabbling in some ballroom practice herself. Denise Van Outen is presumed to be a favourite on SCD. The presenter-turned-actress has not only starred in West End shows but has even released her own dance-fitness DVD. Van Outen is married to Lee Mead, winner of Andrew Lloyd Webber’s Any Dream Will Do, and she has also been a panel member on Lloyd Webber’s talent searches. Girls Aloud pop star Kimberley Walsh will also be competing, as well as Tracey Beaker actress Dani Harmer who finished runner-up in Let’s Dance For Sport Relief this spring. Olympic cyclist Victoria Pendleton will be donning the fishnets and New Yorkers with fantastic fitness levels and a huge competitive streak, alongside 56-year-old former model Jerry Hall and Fern Britton. Ex-Emmerdale star Lisa Riley will also be donning sparkling costumes, making the females alone a strong pull for the show. In terms of male competition, another member of Team GB will be appearing as a hot favourite, Olympic gymnast Louis Smith who may even add a back flip to his routines in his dapper costumes. Nicky Byrne from Westlife, actors Colin Salmon and Sid Owen and cricketer Michael Vaughan are also to be thrown into the mix of fourteen hopefuls alongside their professional partners, as well as potential comics Daybreak presenter Richard Arnold and Johnny Ball, who’s daughter Zoe was a finalist on SCD series three. However the dancefloor turns, this season’s Strictly is too good to miss!